Dr. Leon Foote and the Foote Evangelistic Team will be conducting revival services (day), (date) through (day), (date) at the (name of church). Services will begin at (time). Evangelist Leon Foote, one of the Old Time, Fighting Fundamentalists trained at the feet of Dr. Bob Jones, Sr., is well known for his strong stand for the fundamentals of the Faith. Having pastored the Cedar Crest Church (Independent Baptist) in Mount Union, PA, for over twenty-five years, Dr. Foote is very well acquainted with the needs of the local churches. He has also preached in several foreign countries including missionary trips to Haiti, Mexico and Canada. He has traveled as far north as Alaska. 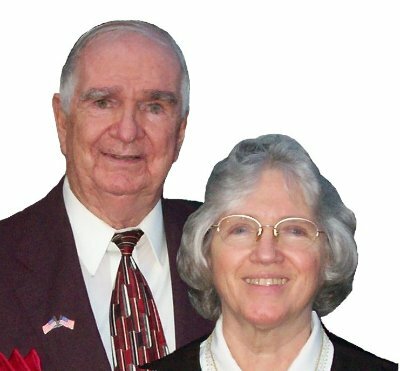 For most of the years while pastoring, Evangelist Foote was a member of the Executive Committee and past president of the Central Pennsylvania Fundamental Ministerial Association. He also was a Committee Director and active worker for the Bible-To-Youth Crusade's camp ministry. In May, 1992, he was awarded the Doctor of Divinity degree by Bob Jones University. Mrs. Brenda Foote will be interpreting each service in sign language for the deaf (when deaf are in the services). She has been involved in the deaf ministry since 1971 when she received training from the Bill Rice Ranch Deaf Ministries. Together with her husband, she activated the first deaf ministry in central Pennsylvania. Mrs. Foote will also be singing during the services using both sign-language and her voice which is enjoyed by both deaf and hearing.